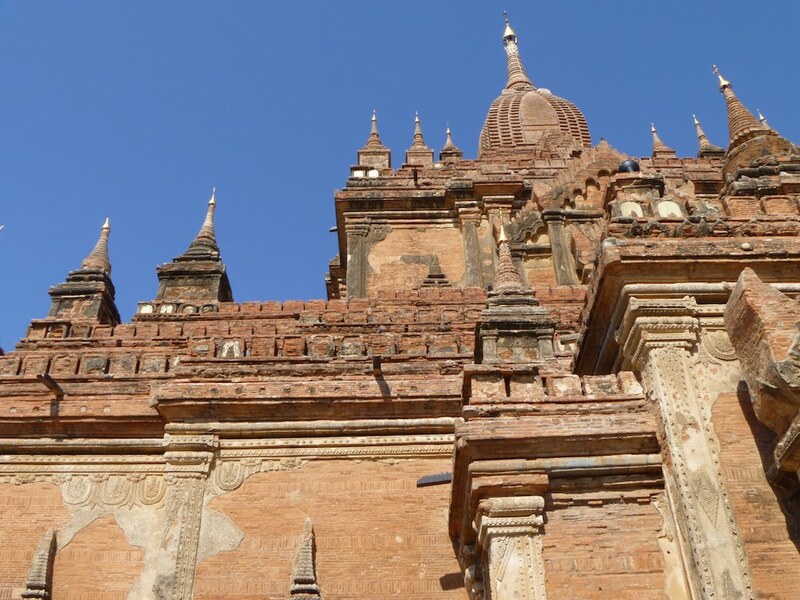 ထီးလိုမင်းလိုဘုရား or Htilominlo Temple was another of the larger temples we visited in Bagan. 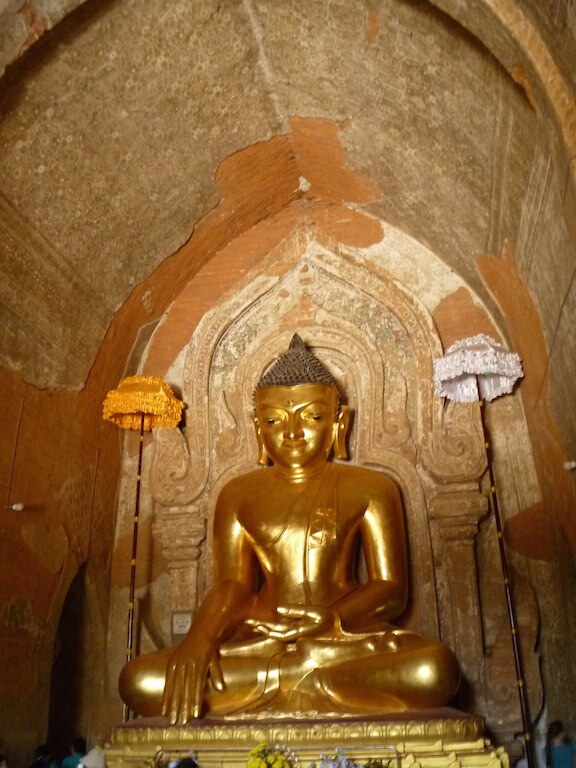 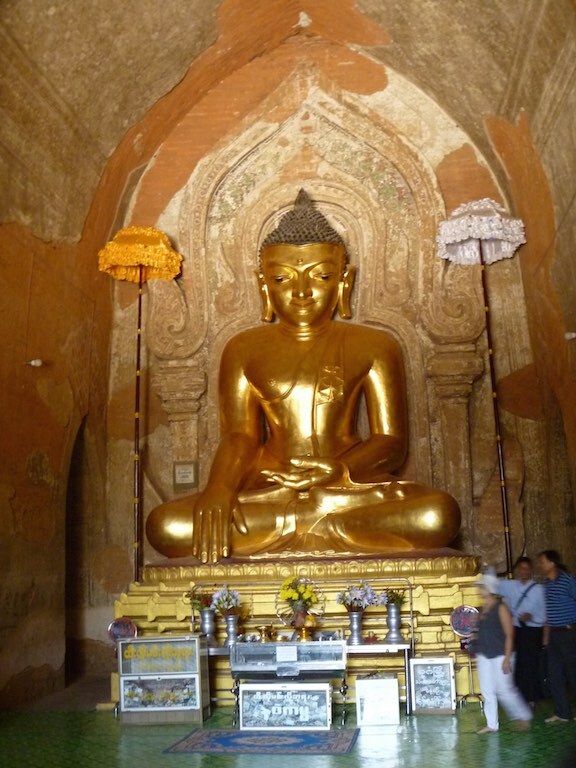 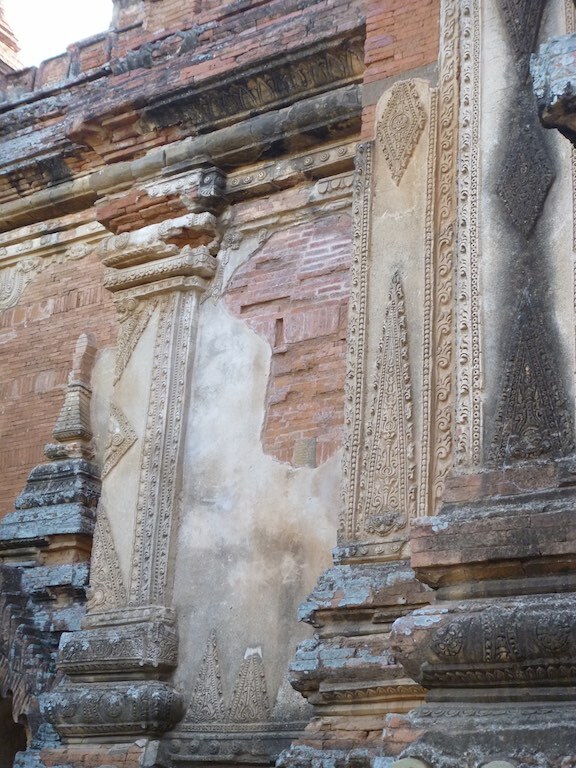 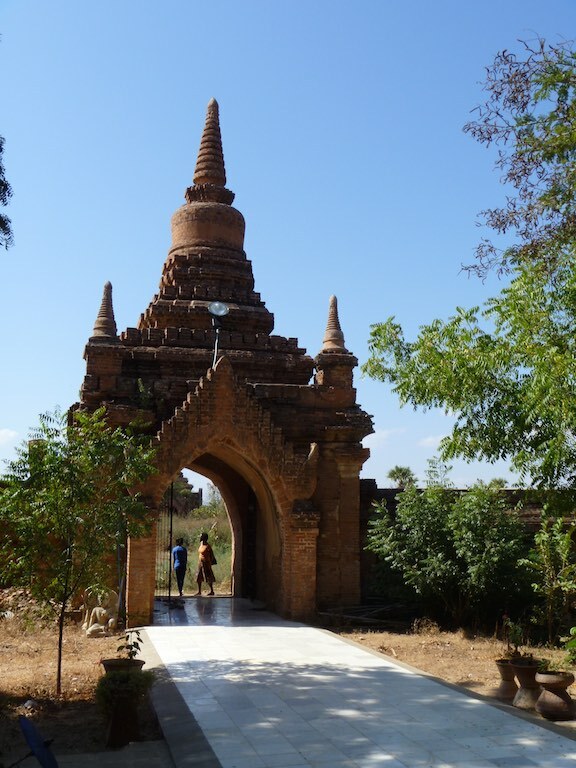 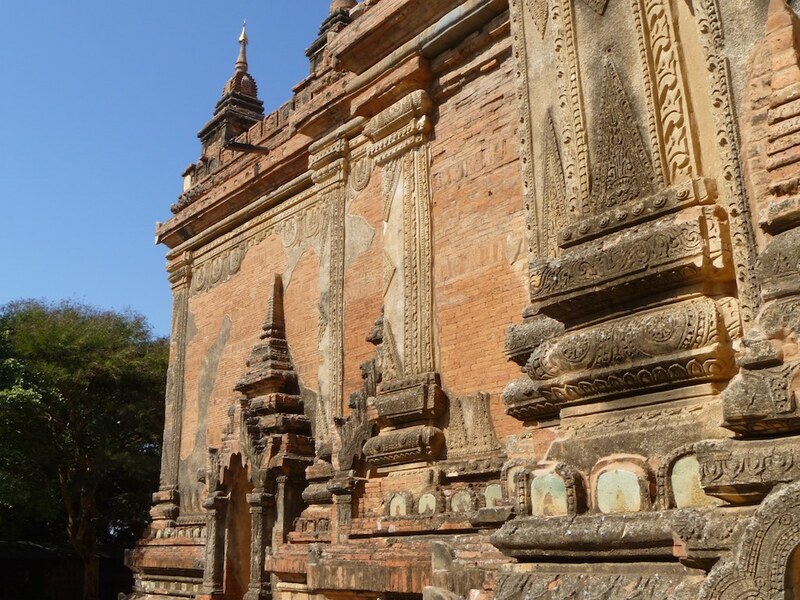 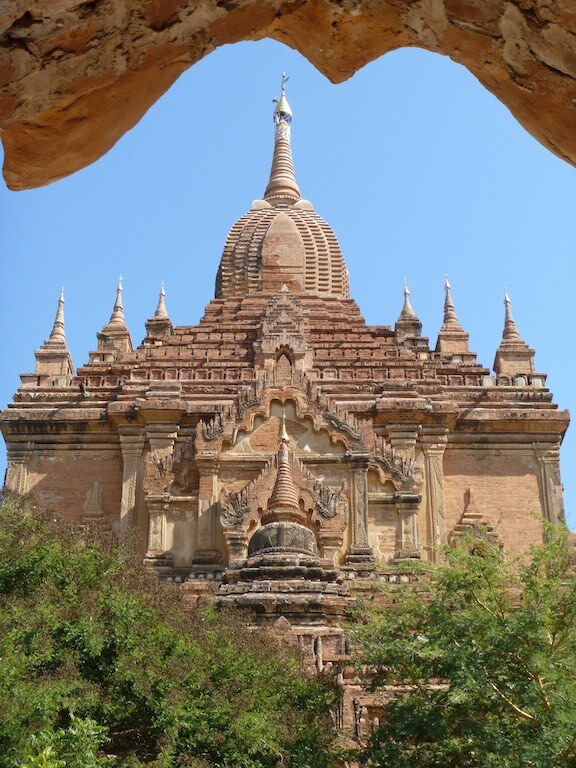 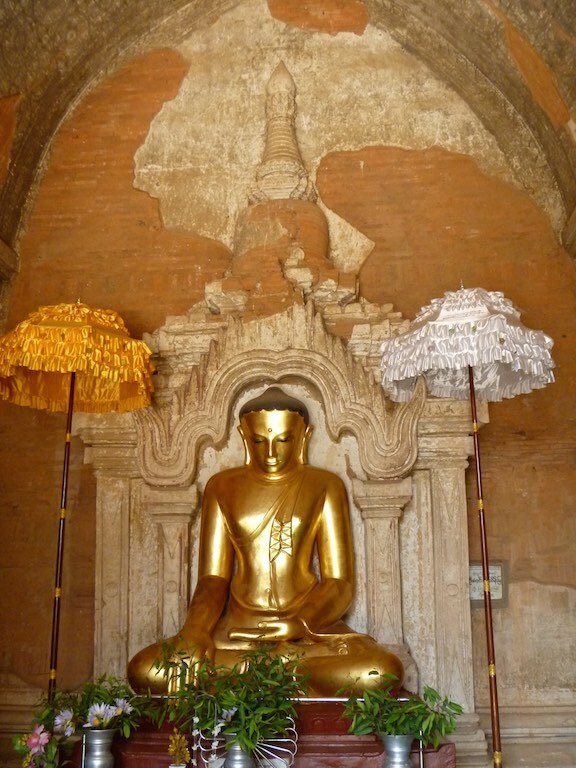 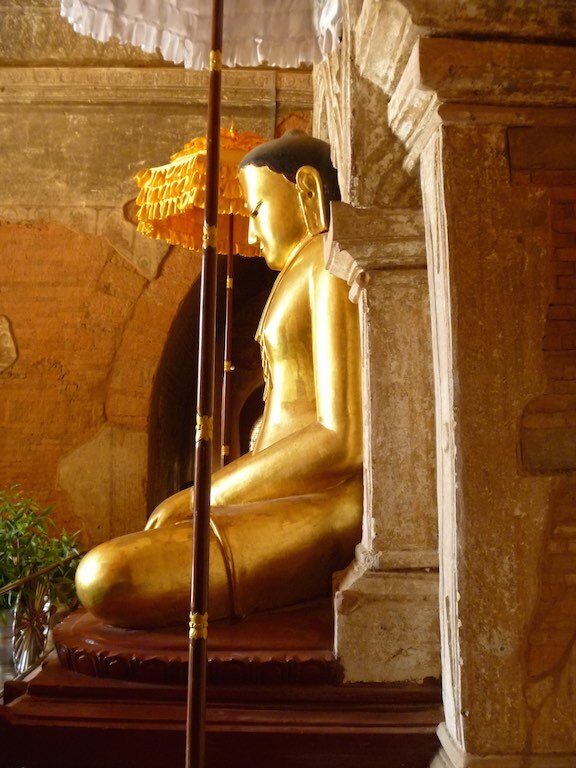 Built by King Nantaungmya in 1218AD, the temple is known to be the last Myanmar Style temple built in Bagan. 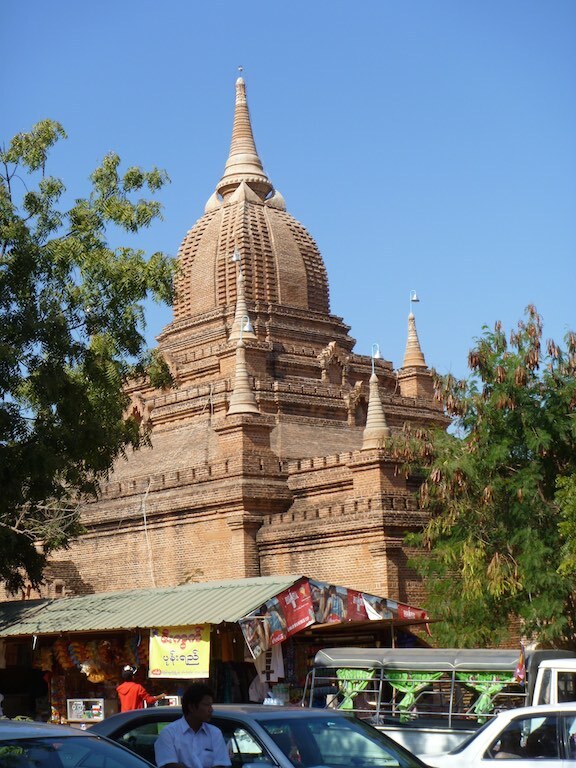 The temple is three stories tall and built with red brick. 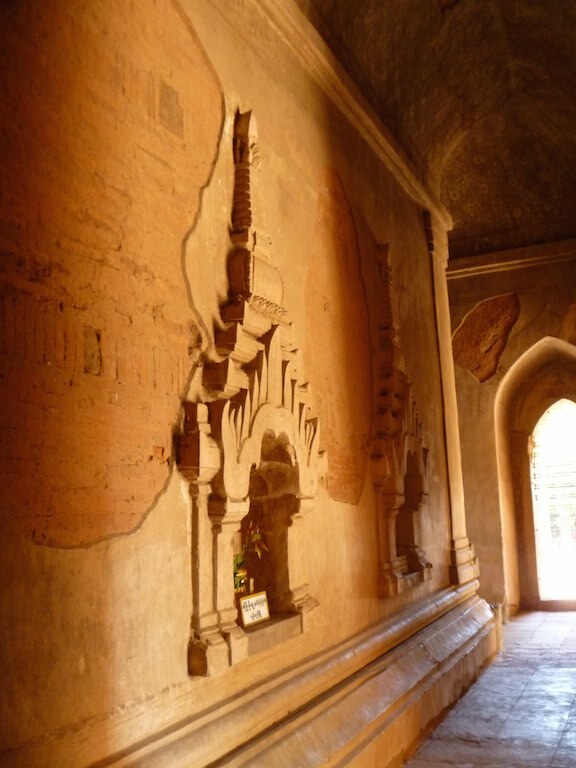 It is known for its elaborate plaster moldings. 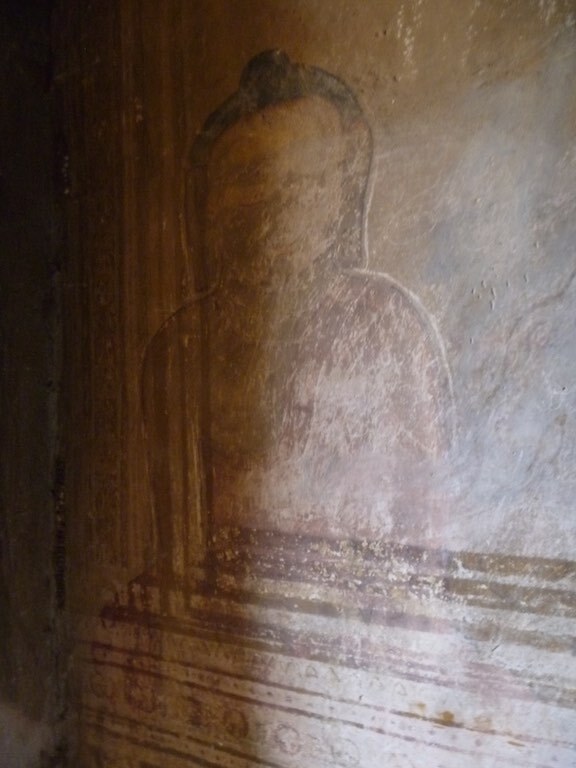 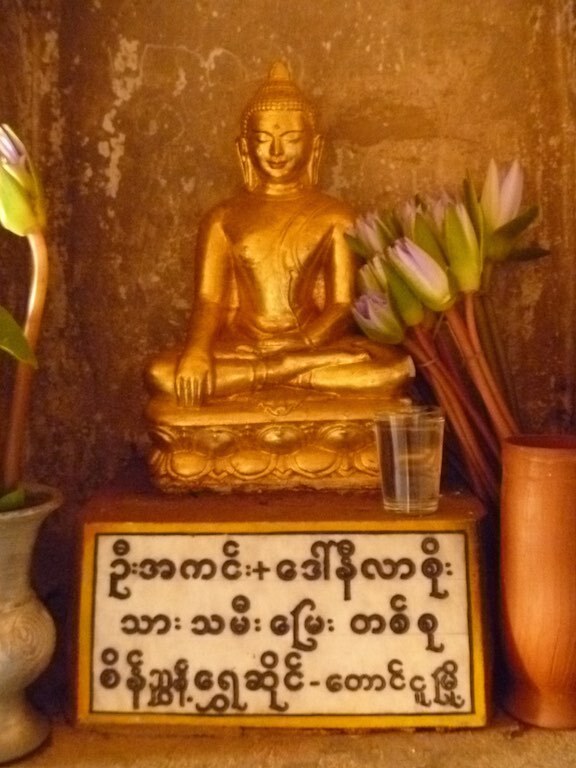 Like Ananda Temple, there are four Buddhas that face each direction. 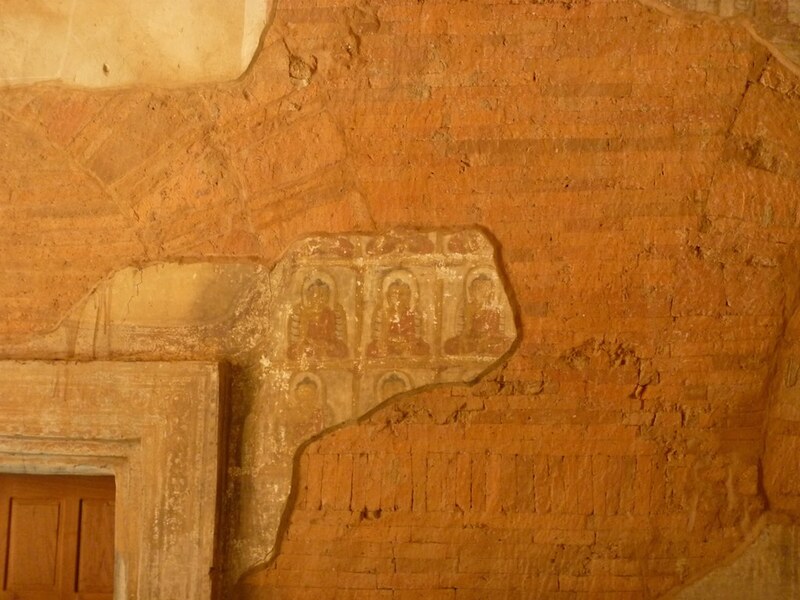 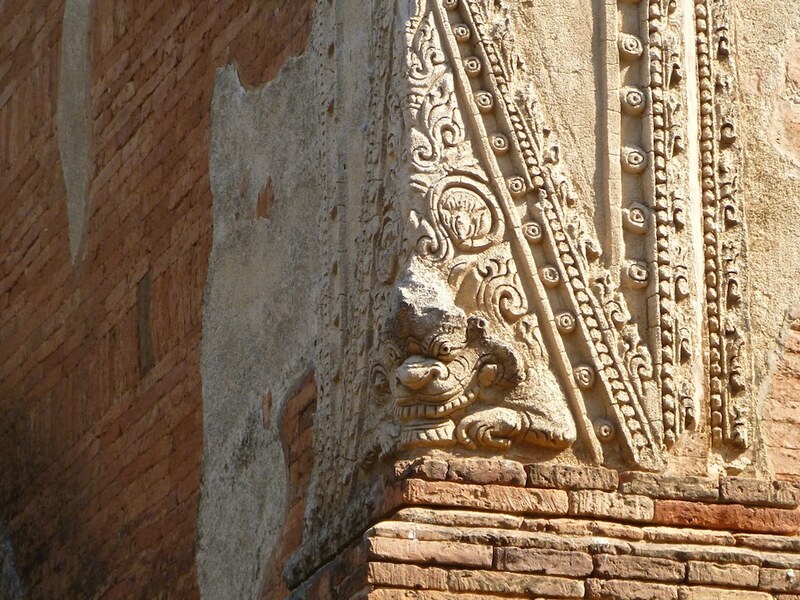 Traces of old murals are still visible on the walls, fragments of the original carvings and decorations have also survived on the outside. 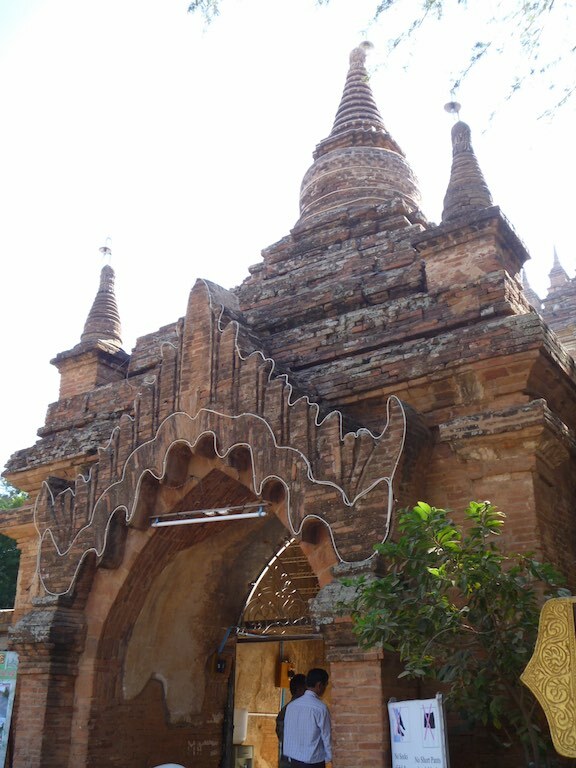 Many of the doorways feature elaborate carvings. 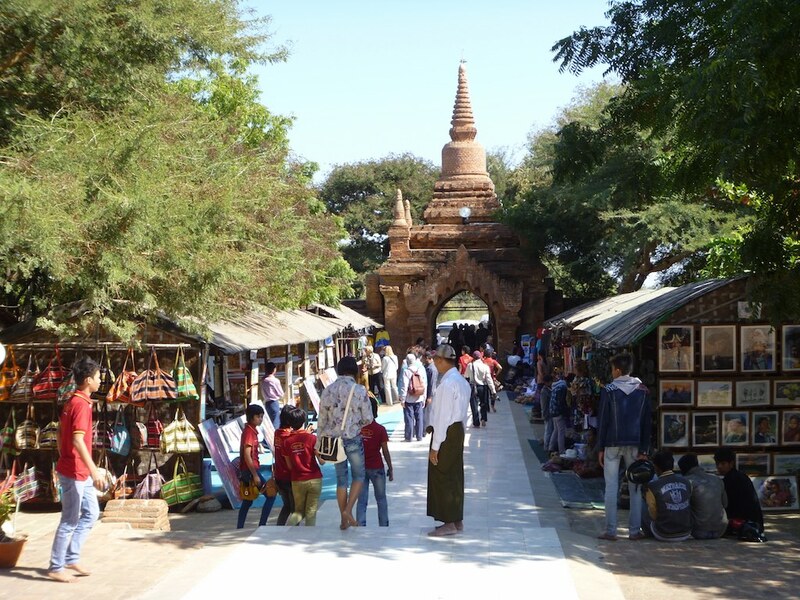 Within the walls of the temple was also a small handicraft market where you could get some Myanmar souvenirs. 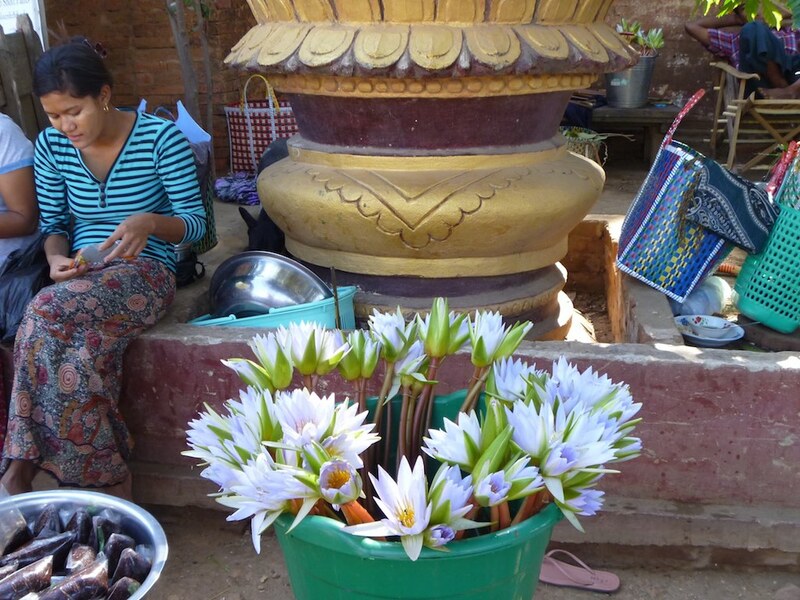 The sellers weren’t pushy at all and it would have been nice to have a little more time here to view their offerings. 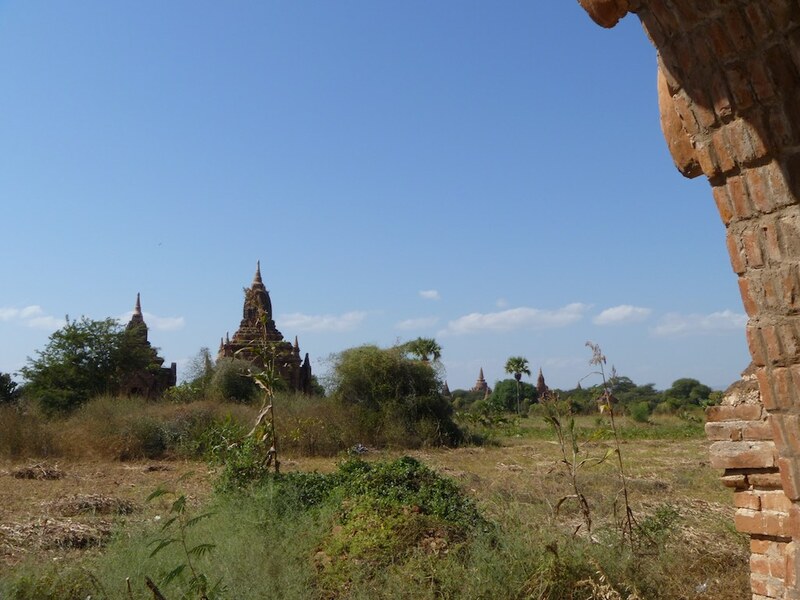 Not that I would have been likely to buy anything, I’m rubbish at shopping. 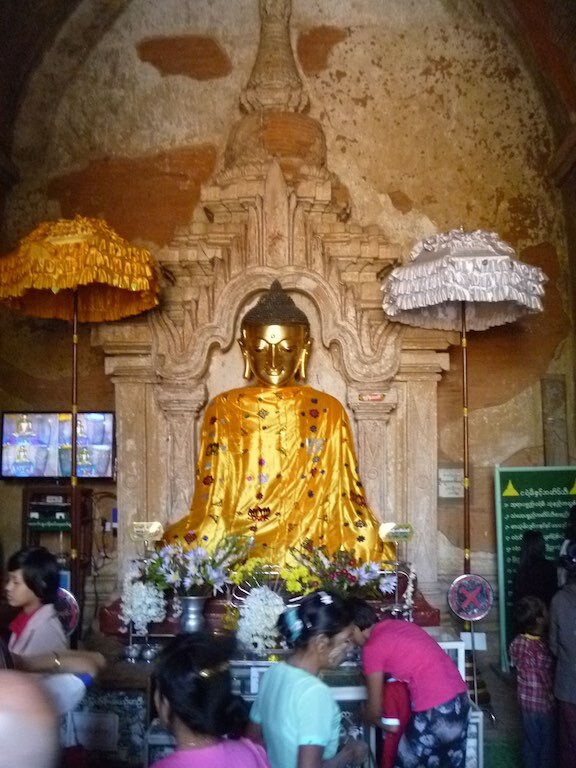 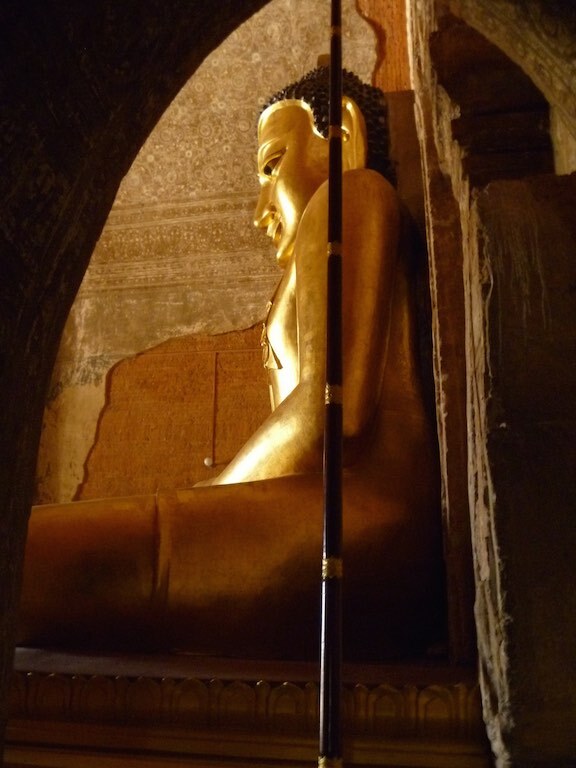 To see more about our visit to Myanmar, click here. 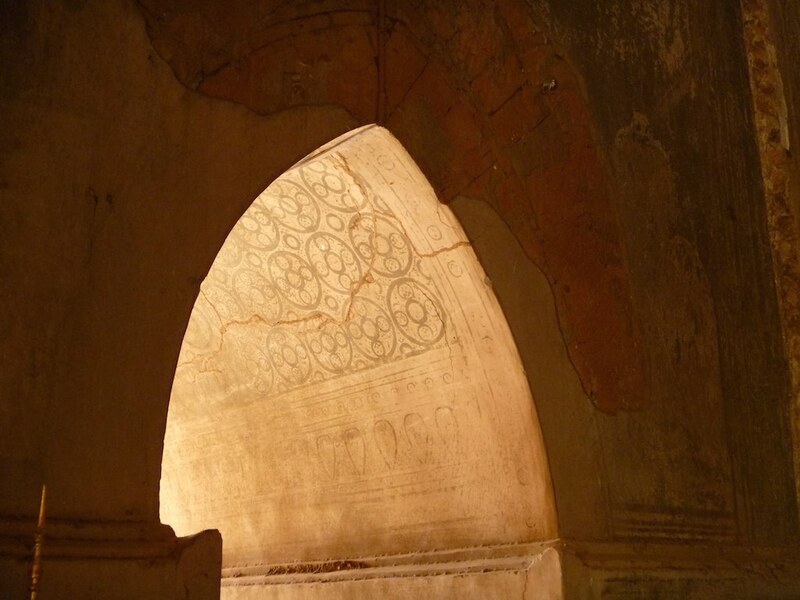 Wow, your pictures are beautiful. 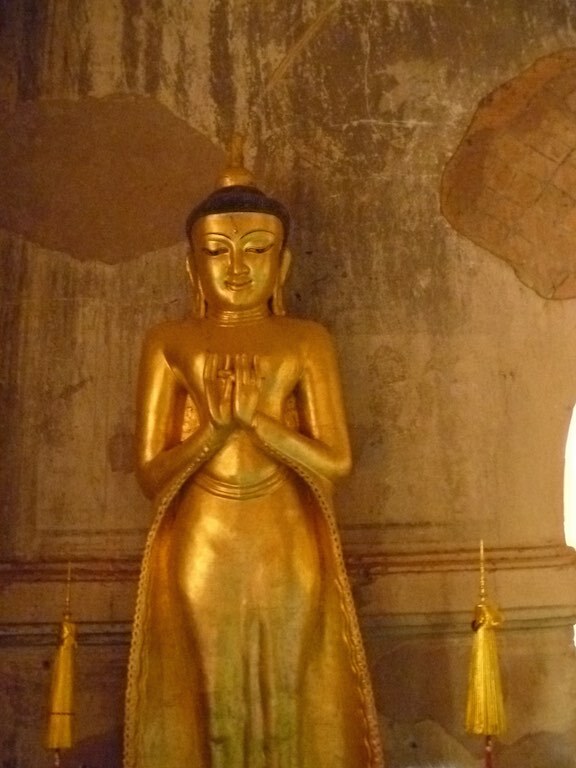 I’d love to visit one day!